CJ3. 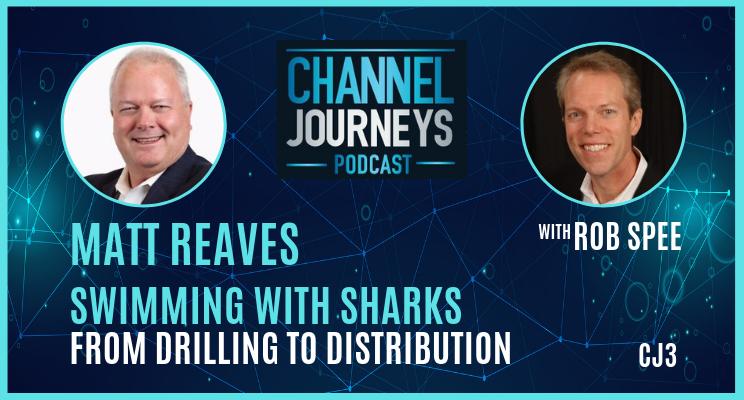 This episode features Matt Reaves, channel chief, distribution veteran, and long-distance swimmer. Matt tells how his career went from drilling for oil to creating a value-added distribution model and becoming a leading distributor for IBM. 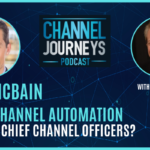 Hear Matt’s view on the role of distribution today and learn about his personal journey from horseback riding next to the pyramids of Egypt to swimming with sharks in the San Francisco bay. [4:40] Matt went to high school in Cairo where he rode horses next to the pyramids and graduated under the Sphynx. [7:00] Joined the oil business right out of college and worked their until the oil crash. [9:00] Transitioned from oil to the channel by working as an IT reseller calling on doctors. [11:00] Joined Dallas distributor Horizon Technology as the 32nd employee in 1990. Horizon became Pro America, one of three IBM distributors at the time. Developed the value distribution model where you could earn more margin for delivering more value. [14:00] Pro America merged with Dickens Data Systems in Atlanta, then acquired by Pioneer Standard (Keylink), then by Arrow. [15:45] Role of distribution today – still have the reach and scale most companies don’t have, adapting to changing markets by building new services like cloud portals, and changing to become IoT and analytics companies. And still provide channel credit that keeps the wheels turning. [19:30] True character comes out when times are tough, not when things are good. [21:30] Channels are all about influence. 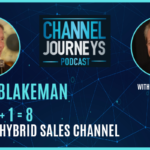 Direct sales are all about command and control. [30:00] Jumped out of a boat into the shark-infested waters of San Francisco bay to swim 1.5 miles from Alcatraz to Ghirardelli Square to prove he could and raise money for Alzheimer’s research. [35:00] Matt’s passion is passing on his channel knowledge on to those entering the field today, and hopes that other channel pros will do the same. If you enjoyed this podcast, be sure to subscribe and you’ll be notified of each new episode. And if you’re interested in creating a channel pros team of swimmers to raise money for a charity, send me a note at rob@channeljourneys.com.